A strategic corporal is a junior level operator whose actions can have huge strategic and political consequences well above his pay-grade. A strategic corporal may have struck gold this morning in Faisalabad. I have not yet heard any report of his arrest or even his identification. It is likely that he will turn out to be some low-level member of the PMLN crowd. Though it is still possible that he will turn out to be an agent provocateur, working for some intelligence agency; of course if he really works for an intelligence agency, he may never be caught in the intelligence republic of Ghaibistan. Anyway, we may find out some day. 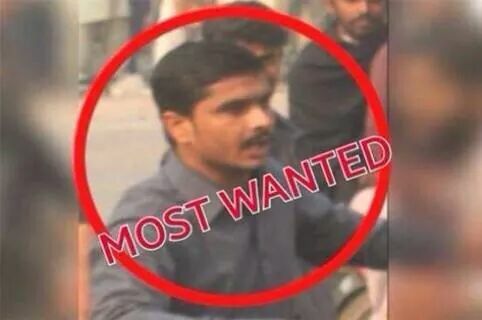 But one thing is already clear: his killing has energised Imran Khan’s floundering protest campaign and if current clashes accelerate, it may be the spark that starts a prairie fire. In that sense, the actions of this low-level operative, whether an operative of the PMLN (most likely), the LEJ or an intelligence agency; may have very far-reaching strategic consequences. 1. A prolonged agitation that leads to military intervention (direct, or indirect via intelligence agencies and an engineered national government). Such intervention to be followed by a hard-paknationalist regime and then by carefully managed elections (if we get that far). To be followed by an Imran Khan regime under military supervision? 2. A prolonged agitation that is suppressed by force and that delegitimizes the PMLN regime even if it holds on. Or do you think this will blow over? Next PostNext Was Nigel Farage right in blaming immigrants?